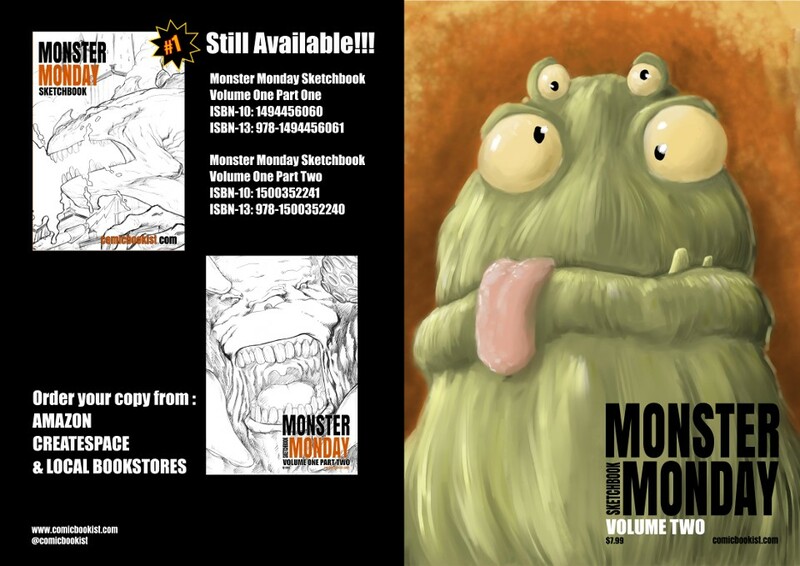 Here’s the full front and back cover design for my latest book Monster Monday Sketchbook Volume 2. 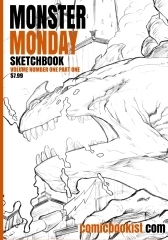 This edition collects all of the drawings from Volume 2 of my “almost weekly” series of Monster Monday Sketches. If you like my work, please consider supporting it by purchasing a copy at Createspace or Amazon. It is also available to order from Amazon in Europe as well, and from bookstores.